Bronze to purple new growth maturing to glossy green. Orange-red fall color. Does best in acidic soils. Hardy to -20F (-28.8C); height: 30ft. Small tree with low growing, dense branches. Rounded growth habit. 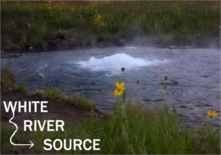 Tolerates dry alkaline soils. Hardy to -30F (-34.4C); height: 25ft. North American native tree with white and purple drooping flower clusters in the spring. Red to orange fall foliage. Great for use as a screen and does well in shade. Hardy to -20F (-28.8C); height: 25ft. Oval, lobed leaves are unique in shape. Bark is green, striped with white. Orange-red fall foliage. Hardy to -20F (-28/8C); height: 50ft. Rapidly growing cross between a silver and red maple. Orange-red fall color. Hardy to -40F (-40C); height: 50ft. 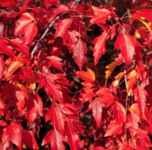 Shrub or small tree with dense foliage and bright red fall coloring. Makes an excellent screen or hedge and is a great ornamental. Lovely cultivar with a narrow growth habit and rounded crown. Spring blooms are yellow-green, progressing to red fruits. Bright red autumn foliage. Can be grown as a multi-stemmed tree or sheared as a hedge or shrub. Hardy to -40F (-40C); height: 50ft. Versatile variety that can be grown as a multi-stemmed tree or large shrub. Summer foliage is dark green, followed by bright red autumn coloring. Shrub or small tree, usually found with multiple trunks. Dark red twigs with red seeds and deep yellow fall coloring. Prefers partial shade or an area under other taller trees. Drought resistant. Hardy to -30F (-34.4C); height: 25ft. Sought after specimen native to western North America. When small, it has a shrubby appearance, but matures with a large rounded head and rosy-pink seeds. Brilliant fall coloring. Good landscape specimen. Hardy to -40F (-39-9C); height: 40ft. 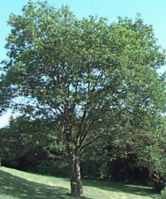 Medium sized tree with multiple trunks and a rounded top. Bright red to orange fall coloring. Hardy to -30F (-34.4C); height: 40ft. Native west coast USA. 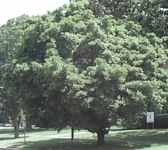 Large shade or specimen tree with rounded growth habit and big deeply lobed leaves. Excellent for cool areas. Orange or yellow fall color. Hardy to -40F(-40C); height: 95ft. Perfect maple for extreme heat or drought. Grows fast and makes a lovely shade tree. Hardy to -50F (-45C); height: 70ft. Pretty small maple with unique star-shaped leaves. Brilliant orange to red fall coloring. Hardy to -20F (-28.8C); height: 40ft. Lovely weeping tree with green lacy leaves. Nice specimen plant. Hardy to -20F (-28.8C); height: 15ft. 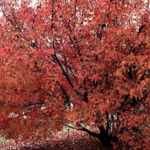 Striking shade loving tree that begins shrubby, but matures with a large rounded head. Northeast US native. 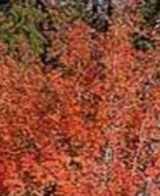 The green and white striped bark turns red in winter and the fall foliage is a brilliant golden yellow. Hardy to -20F (-28.9C); height: 40ft. Maple with large singular trunk and rounded head. Commonly used in the US as a street or shade tree. Adaptable to many climate and soil conditions. Bright yellow fall coloring. Hardy to -40F (-40C); height: 70 ft.
Large maple with rounded crown. Good variety for shade or forest. 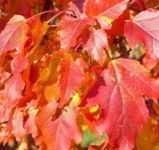 Hardy to -30F (-34.4C); height: 75 ft.
Sturdy shade tree having red foliage in the spring, green in summer and red again in the fall. Conical growth habit. Hardy to -40F (-45.5C); height: 60ft. Fast growing columnar maple with light green foliage that turns yellow to orange in fall. Hardy to -30F (-34.4C); height: 50 ft.
Cross between 'October Glory' and 'Autumn Flame' has a brilliant red-purple fall coloring. Prefers a slightly acidic soil, but is very adaptable. (Produces only male flowers) Hardy to -30F (-34.4C); height: 50ft. 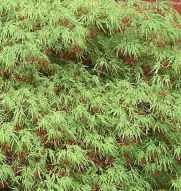 The fastest growing of the maples, this species forms a wide spreading tree with deeply lobed green leaves with a grey-green underside. Bright yellow fall color. Hardy to -40F (-40C); height: 45ft. Tall long lived tree with grey bark and an upright dense growth. Grows slowly. The variety commonly tapped in the spring to produce maple syrup. Fall foliage is yellow and scarlet. Hardy to -40F (-34.4C); height: 15ft. Shrub or small tree, usually multi-trunked, with red to yellow fall coloring. Hardy to -30F (-34.4C); height: 30ft. 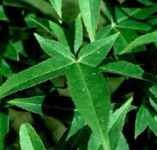 Shrub or small tree, usually multi-trunked, perfect for street plantings. Fall color varies from red to yellow. Tolerant of drought conditions and alkaline soils. Hardy to -30F (-34.4C); height: 30ft. Shrub or small tree with unique three lobed leaves. Fall color varies from red to yellow. Hardy to -30F (-34.4C); height: 30ft. Small rounded maple with dense habit. Fall color is yellow and new leaves are red. Drought and wind tolerant. Hardy to -30F (-34.4C); height: 25ft.